Ard an Rátha ~ Meaning "Height of the Fort"
It is home to the famous Cup of Tae Festival ("The Sweet Cup of Tae" is a favourite reel played by traditional Irish musicians and alludes to the addition of a drop of potin or whiskey to a cup of tea). This festival is held annually and celebrates traditional Irish music which brings musicians from all over Ireland and abroad to both play their music and join in the teaching sessions for those who attend the festival. 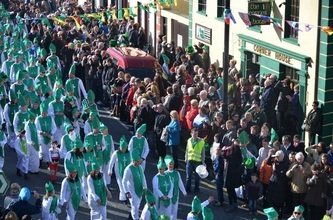 The festival started in 2001 and was inspired by local musician John "The Tae" Gallagher (1923 - 24 January 2012) of whom the Irish broadcaster, Ciaran Mathuna (26 Nov 1925 – 11 Dec 2009), said was “probably the best fiddle player of all time”. 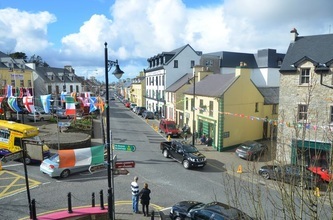 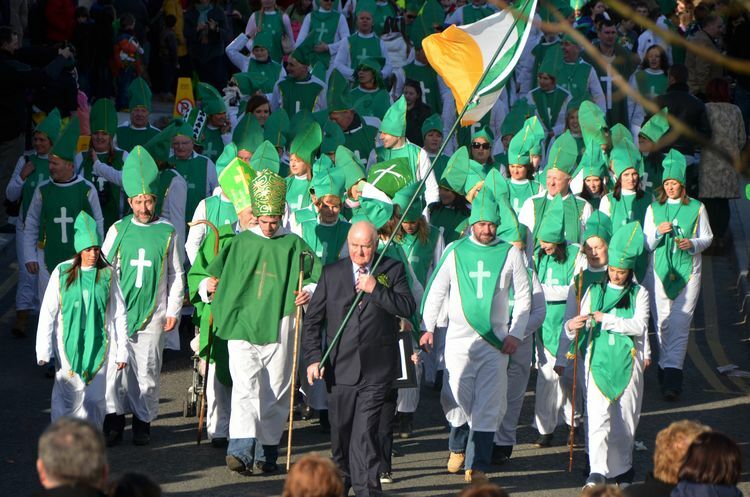 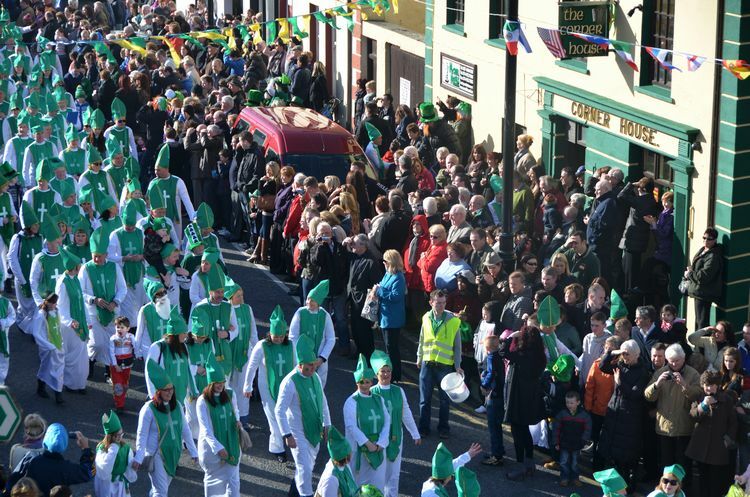 Unusually, the St. Patrick's Day Festival in Ardara each year is held on the first Sunday AFTER St. Patrick's Day. 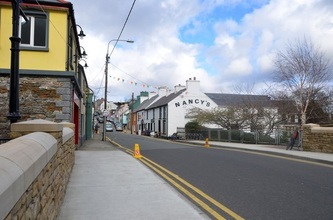 This is so that both the people of the area and visitors can enjoy both the festival in nearby Glenties on St. Patrick's Day and then the Ardara St. Patrick's Day festival too. Just outside Ardara is the Maghera Caves which hold a history of their own. It is said that during penal times local people would hide in these caves to avoid being killed by invading forces. The beautiful waterfall of Eas a' Ranca, otherwise known as Assaranca Waterfall. 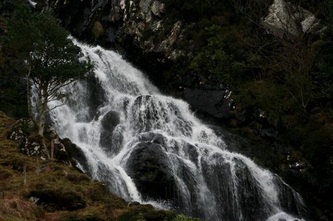 Beside the waterfall is a wooden carving by Mike Henderson. 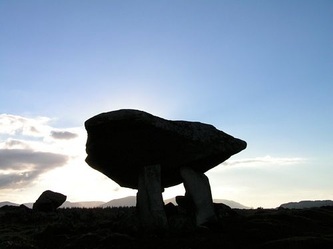 For those interested in ancient history one of the finest examples of dolmen can be found just outside Ardara, the Kilclooney Dolman. 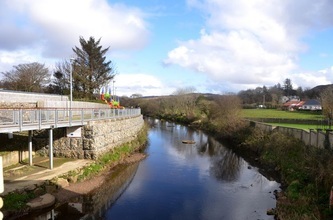 Visitors can then take a drive to a hidden gem in Donegal, Bonny Glen Wood, a place steeped in Irish history and the famine and once there you can park and take one of the two walks through the wood, passing three lakes as you go. 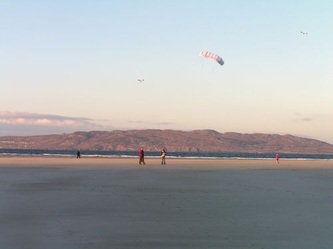 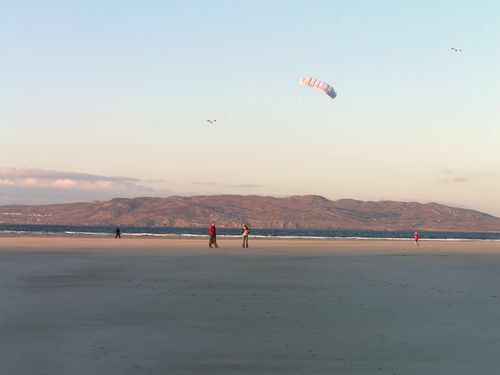 The beaches of Narin and Portnoo are a short distance away and from Narin Beach, at low tide (check locally of the safest time to do it) you can walk across to the island of Inniskeel. Scroll down to view photographs (click on any of them to enlarge) and a google map showing the location of Ardara. 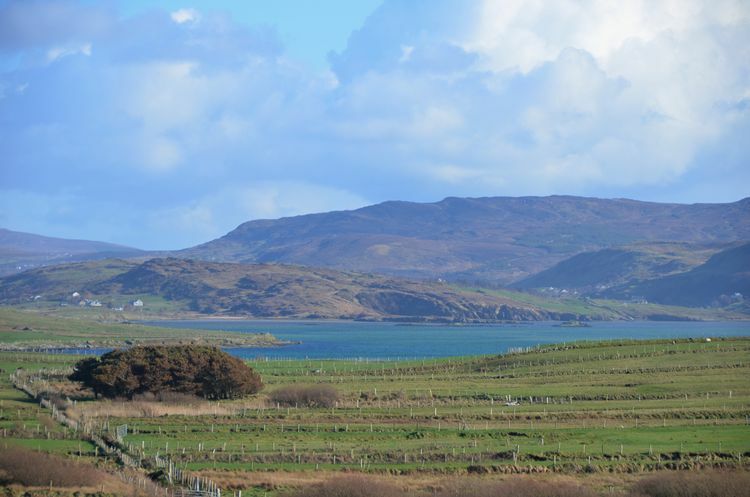 If you wish to visit Ardara there is a link to our sister site Holiday Donegal Ireland further down this page with a list of accommodation, restaurants etc. 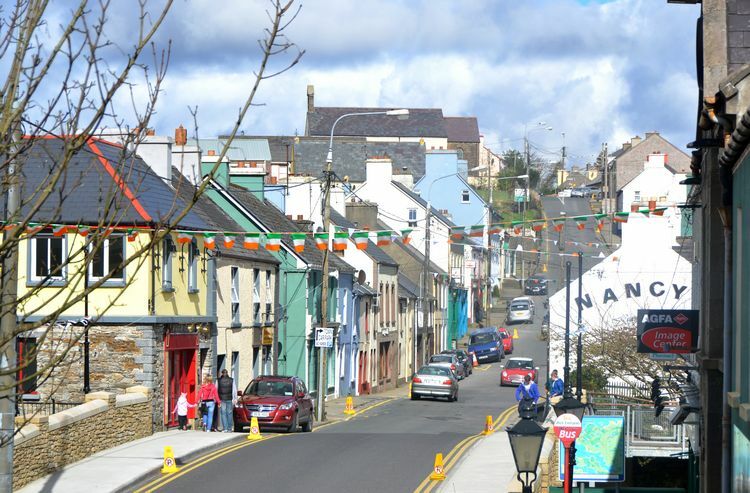 in Ardara..
Ardara has a number of suggested drives and walks from the town and back. 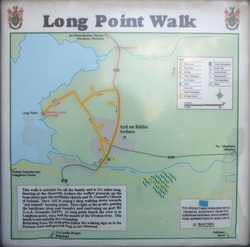 There are on street maps showing the routes. "The Duquesta Santa Anna.900 Tons, 23 Guns, was blown aground and wrecked at Rossbeg on the 26th September 1588. 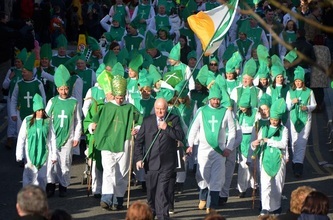 She was commanded by Don Pedro Mares and carried a compliment of 357 men. 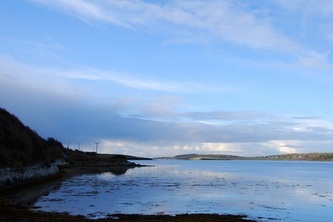 The survivors fortified an area around the old castle on O'Boyles Island in Kiltouris Lough. 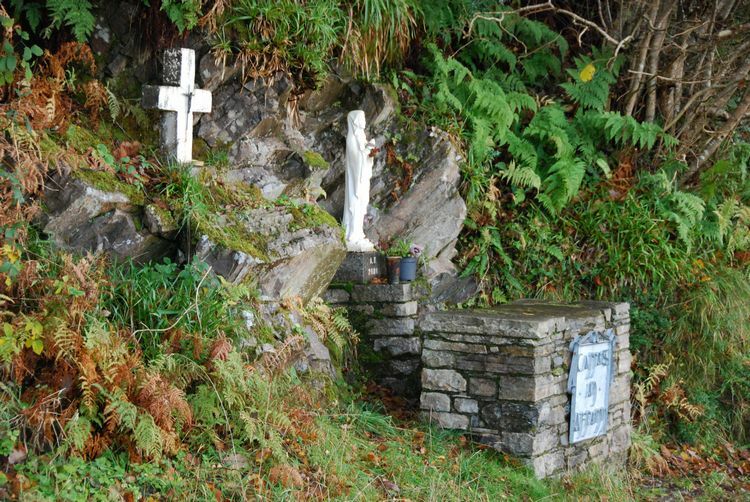 From there they marched through Ardara to Killybegs where they embarked on the Girona, which subsequently sank of Lacada Point , County Antrim on the 28th Ocotober 1588." 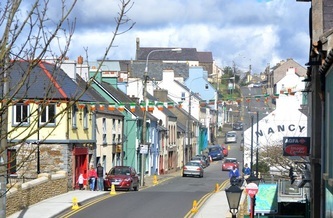 If you intend to visit Ardara, visit our sister site Holiday Donegal Ireland first for a list of accommodation, restaurants, and other businesses there by clicking HERE.